Here are HP EliteBook x360 1030 G3 drivers for Windows 10 64 Bit you can download and install to let your laptop operate properly. 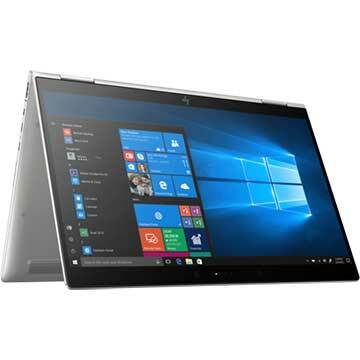 HP EliteBook x360 1030 G3 is 13.3 inches laptop powered by up to Intel Core i7-8650U vPro processor with Intel UHD graphics 620 video card. It comes with up 16 GB LPDDR3-2133 SDRAM system memory and up to up to 2 TB PCIe NVMe M.2 SED SSD solid state storage to store documents. This notebook PC features Intel Dual Band Wireless-AC 8265 802.11a/b/g/n/ac (2x2) Wi-Fi, Bluetooth 4.2, Intel XMM 7360 LTE-Advanced (optional), HP lt4132 LTE/HSPA+ with GPS Mobile Broadband Module (optional), Thunderbolt (USB Type-C connector), USB 3.1 Gen 1, HDMI 1.4 port, External Nano SIM slot for WWAN, 4 Premium stereo speakers with Bang & Olufsen audio technology, 1080p HP Full HD camera, backlit premium keyboard, 4-cell, 56.2 Wh Li-ion battery with up to 18 hours battery life.